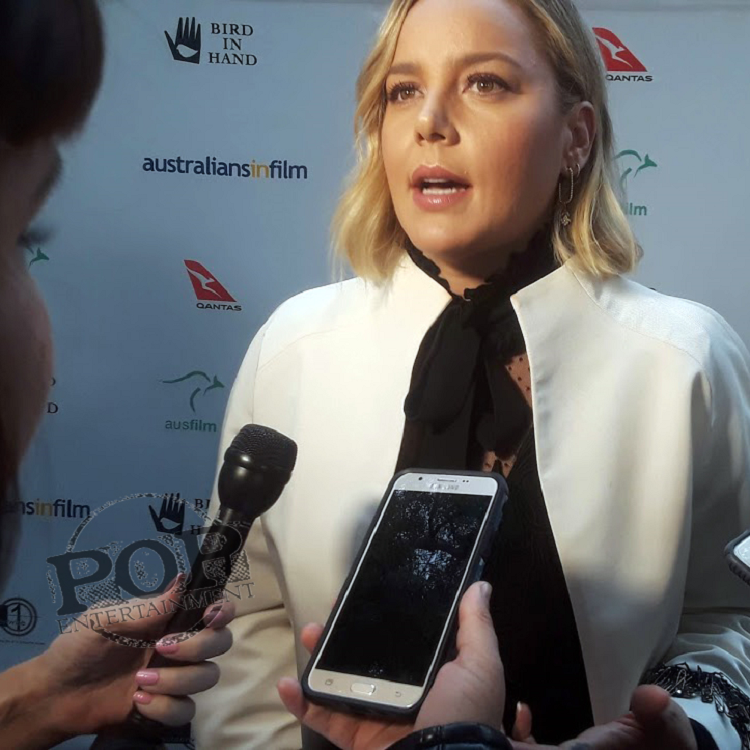 Actress Abbie Cornish at the 2018 Heath Ledger Scholarship Ceremonies at Chateau Marmont in Hollywood. Pop Entertainment was invited to cover the arrivals at the Heath Ledger Scholarship event at the historic Chateau Marmont in Los Angeles. It was a night of gratitude, love, and beautiful memories of a man that inspired many people. Everyone was dressed to the nines as they gathered to walk the red carpet. The night started off with some of the board members of Australians in Film (AIF), followed by past and present judges. Then the finalists, along with some of the VIP guests, gathered for photographs and interviews. Each year the Australians in Film Heath Ledger Scholarship is awarded to a young upcoming actor or actress who demonstrates exceptional talent, passion for the arts, and commitment to excellence. In addition, it allows emerging Australian talent the opportunity to jump-start their careers and break into Hollywood. Australians in Film is a non-profit organization that is based out of the Los Angeles area. 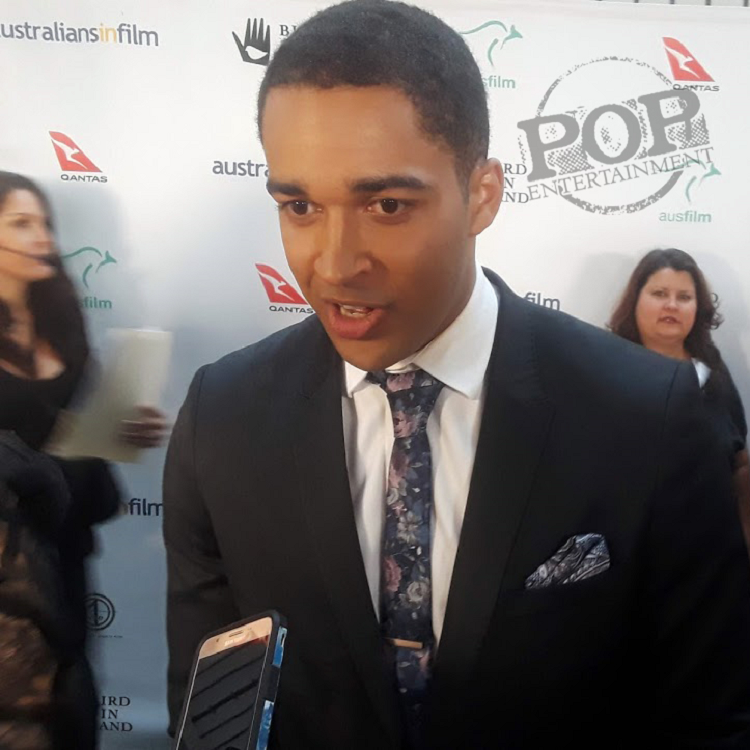 They serve to help open doors for young actors and actresses from the Australian community that are planning on pursuing a career in the film and television industry. Two round-trip Qantas economy airfares from Australia to Los Angeles. $10,000 towards a living allowance, rent and transport assistance in Los Angeles. Group acting classes and personal coaching from Lisa Robertson Studio. Movement and Voice classes with Kennedy Brown. Dialect coaching with Joy Ellison. Group acting classes from Nancy Banks Studio. Group acting classes and personal coaching from Jean-Louis Rodrigue and Kristof Konrad at Alexander Techworks. Private acting classes from Guru Monteiro. Immigration services from Kate Raynor & Associates. Reel editing by Top LA editor Darwin Serink. Headshot Sessions from Sally Flegg Photography. Hair and Makeup styling for headshot sessions by Sophia Lee. Gym classes from Training Mate. Dinner + Medallion from EP & LP. Hair Styling by Hello Darling Salon. Lifetime AiF membership, which includes access to the creative workspaces, Charlie’s at Raleigh Studios, including invitations to exclusive AiF Events such as The Australian Oscar and Emmy Nominees Reception. General meeting introductions to Hollywood casting directors. Mentoring by leading actors working in Hollywood. Last year’s scholarship recipient Mojean Aria at the 2018 Heath Ledger Scholarship Ceremonies at Chateau Marmont in Hollywood. Mojean Aria was last year’s recipient of the Heath Ledger Scholarship. Since then has gone on to do some pretty amazing things! When we caught-up with him last night, we asked him how winning had impacted his life. “Changed my life,” Aria said with confidence. “I have since then gotten an agent, which I didn’t have before and have an incredible team. I am also currently working on a series and my first film.” In addition, he spoke about how he has gotten very close to the Ledger family and has been able to spend quite a bit of time with them. Emotions ran high in all the finalists, as just being there was such a huge honor. Here is what a few of them had to say. Scholarship finalist Aaron Glenane at the 2018 Heath Ledger Scholarship Ceremonies at Chateau Marmont in Hollywood. “I think his legacy was helping people, he was all about helping his fellow Australians move to America,” agreed Bethany Whitmore. “It’s such a huge honor to be here tonight, it’s amazing to be in some small way associated with Heath,” explained Harvey Zielinski. Scholarship finalist Ezekiel Simat at the 2018 Heath Ledger Scholarship Ceremonies at Chateau Marmont in Hollywood. Scholarship recipient Charmaine Bingwa at the 2018 Heath Ledger Scholarship Ceremonies at Chateau Marmont in Hollywood. Charmaine Bingwa! 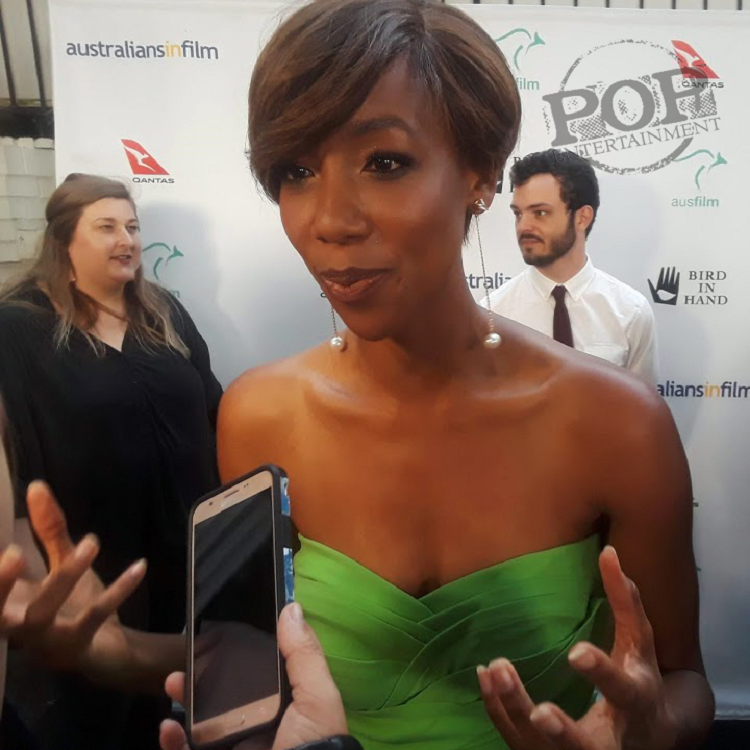 The Australian/Zimbabwean actress is not only the winner of the 10th Annual Heath Ledger Scholarship, but the first woman of color/openly gay woman to be honored with this prestigious award. Bingwa, has also been honored with the Sydney Theatre Awards and Broadway World nominations for Best Supporting Actress in 2017. Most recently, she has starred in the film Nekrotronic (2018) alongside Monica Bellucci. In addition, she starred, wrote, produced, and directed the series Little Sista (2018) which won Best Screenplay at the LGBT Toronto Film Festival. 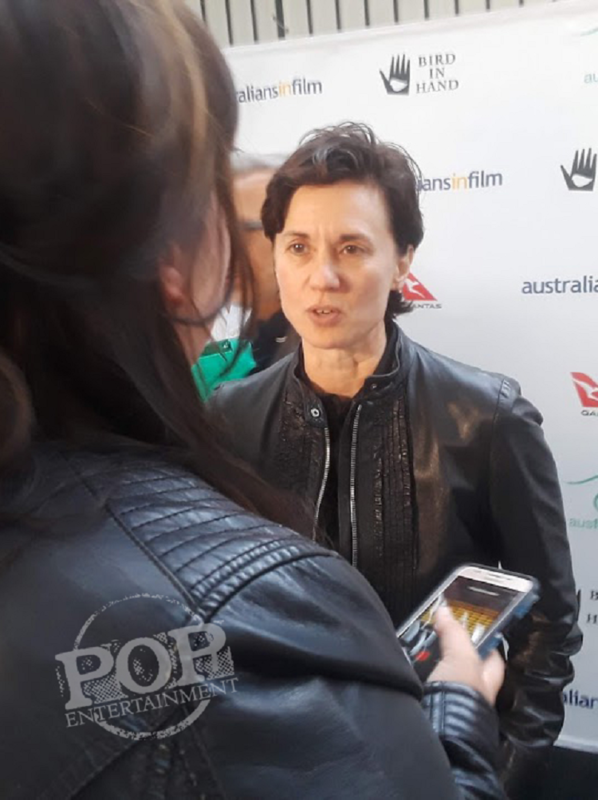 She also recently starred in the Australian feature film The Pitch, and three short films – “Boys Will Be Boys”, “Can You Dig It” and “Waiting for God.” She also wrote the German-Australian short film “Stille Nacht”. In addition to her career-making turn in Doubt: A Parable, last year alone she graced theatre stages 79 times in five different productions in some of Australia’s most celebrated venues. These included Mame at Hayes Theatre (dir: Richard Carroll), American Beauty Shop at KXT Bakehouse (dir: Anna McGrath), Birdland at New Theatre and (dir: Anthony Skuse), The Seagull in the iconic role of Masha at The Depot Theatre (dir: Anthony Skus). Bingwa can also sing and play the guitar. She has performed with international artists such as Demi Lovato, Rachel Platten and Fifth Harmony on their tours in Australia. 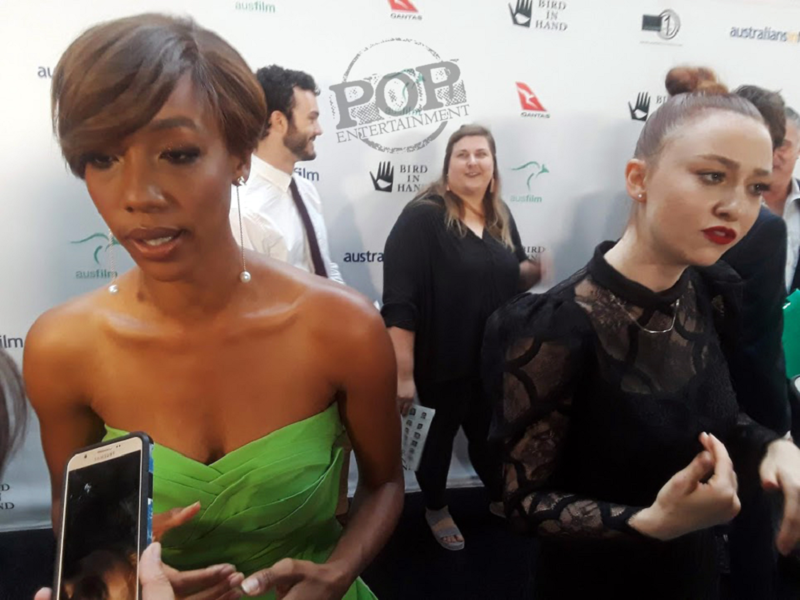 Scholarship winner Charmaine Bingwa and finalist Bethany Whitmore at the 2018 Heath Ledger Scholarship Ceremonies at Chateau Marmont in Hollywood. She has studied improv at Upright Citizens Brigade (completed 101, 201, 301, 401), has studied at the Atlantic Acting School in New York and holds a Bachelor of Music and a Bachelor of Commerce. When we met up with Charmaine on the carpet she was incredibly humble, beautiful and absolutely delightful. It was without a doubt an unforgettable evening for everyone involved. Many VIP guests came out to show their support for this magnificent cause. Names such as Max Greenfield (New Girl), Liv Hewson (Santa Clarita Diet), Tom Cocquerel (Table 19), Gia Carides (Big Little Lies), Damon Herriman (Once Upon A Time in Hollywood), Louis Hunter (The Fosters), Abbie Cornish (Candy), and Jonny Pasvolsky (Westworld)… just to name some. And of course, Heath’s father Kim, mother Sally Bell, and sister Kate Ledger were all present. This year’s HLS judges consisted of Carmen Cuba (Casting Director of Stranger Things), Jeremy Podeswa (Emmy-nominated director of Handmaid’s Tale & Game of Thrones), and Lorenzo di Bonaventura (Producer of The Meg and Transformers Franchise). Director Kimberly Peirce at the 2018 Heath Ledger Scholarship Ceremonies at Chateau Marmont in Hollywood. We were able to talk to last year’s judge Kimberly Peirce, who is a director known best for the feature film Boys Don’t Cry, which won the Academy Award for Best Actress for Hillary Swank. When we spoke with Pierce we asked her what as a judge she looked for when picking the finalists? “What was great about being a judge was being able to clear my head and watch the tapes and be as open as possible,” Pierce replied. “At first, you’re always scared that you won’t see it. Then suddenly these people come on screen and they are beautiful, brilliant, charismatic, and well trained. They just capture your heart and tell you a story”. It’s clear after talking to Kimberly Pierce that personality and heart go a long way with the judges when it comes to selecting finalist each year. You could definitely tell that each and every one of the finalists that were selected this year had something special about them or were very unique in one way or another. I can honestly say that all of the finalists seemed to be incredibly talented and beautiful human beings; we will definitely be seeing more of all of them in the near future. This life changing scholarship is worth over $30,000 which covers the cost of living expenses in Los Angeles, Qantas airfares, acting classes and mentoring sessions. To date, $280,000 in Scholarship prizes has been awarded to help the winners with career and educational opportunities in the U.S. Copyright ©2018 PopEntertainment.com. All rights reserved. Posted: September 25, 2018. Click on thumbnails to see more pictures from the red carpet! Gemma Bird Matheson at the 2018 Heath Ledger Scholarship Ceremonies at Chateau Marmont in Hollywood. Kipan Rothbury at the 2018 Heath Ledger Scholarship Ceremonies at Chateau Marmont in Hollywood. Brenna Harding at the 2018 Heath Ledger Scholarship Ceremonies at Chateau Marmont in Hollywood. Jonny Pasvolsky at the 2018 Heath Ledger Scholarship Ceremonies at Chateau Marmont in Hollywood. 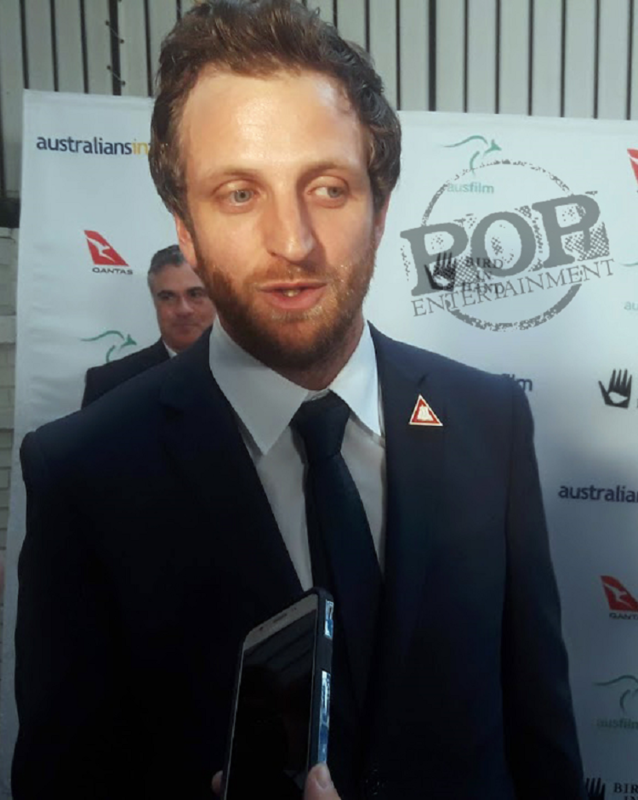 Ezekiel Simat at the 2018 Heath Ledger Scholarship Ceremonies at Chateau Marmont in Hollywood. Getting ready for the red carpet at the 2018 Heath Ledger Scholarship Ceremonies at Chateau Marmont in Hollywood. Harvey Kaska Zielinski at the 2018 Heath Ledger Scholarship Ceremonies at Chateau Marmont in Hollywood. 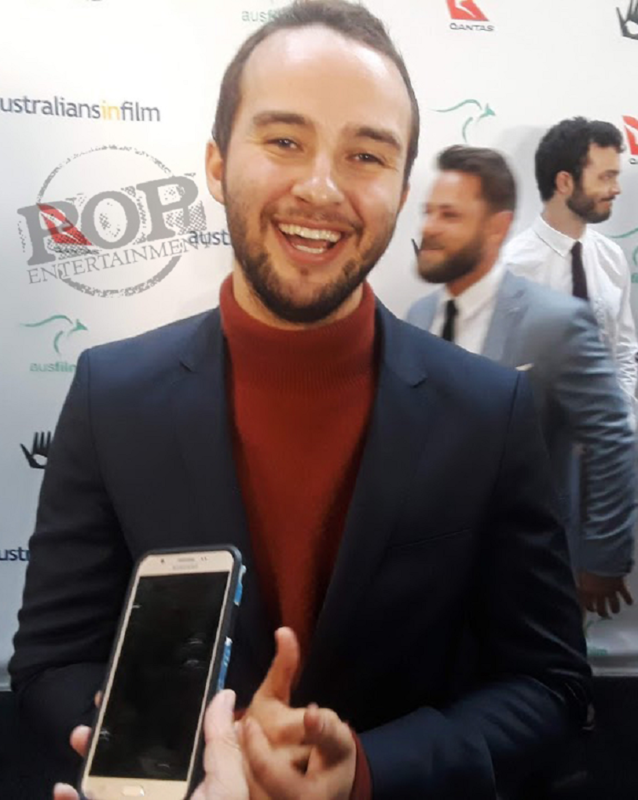 Tags: Aaron Glenane, Abbie Cornish, Alexander Techworks, Australians in Film, Bethany Whitmore, Big Little Lies, Bird in Hand, Boys Will Be Boys, Can You Dig It, candy, Carmen Cuba, Charmaine Bingwa, Chateau Marmont, Damon Herriman, Darwin Serink, demi lovato, EP & LP, fifth harmony, Game of Thrones, Gia Carides, Guru Montiero, Handmaid's Tale, Harvey Zielinski, heath ledger, Heath Ledger Scholarship, Hello Darling Salon, HLS10, Hollywood, Jean-Louis Rodrigue, Jeremy Podeswa, Jonny Pasvolsky, Joy Ellison, Kate Raynor & Associates, Kennedy Brown, Kimberly Peirce, Kristof Konrad, LGBT Toronto Film Festival, Lindsey Blick, Lisa Robertson Studio, Little Sista, Liv Hewson, Lorenzo di Bonaventura, Louis Hunter, Max Greenfield, Mojean Aria, Nancy Banks Studio, Nekrotronic, new girl, Once Upon A Time in Hollywood, Quantas, Rachel Platten, Sally Flegg Photography, Santa Clarita Diet, scholarship, Sophia Lee, Stranger Things, Table 19, The Fosters, The Meg, The Pitch, Tom Cocquerel, Training Mate, Transformers, Upright Citizen's Brigade, Waiting for God, Westworld. Bookmark the permalink.